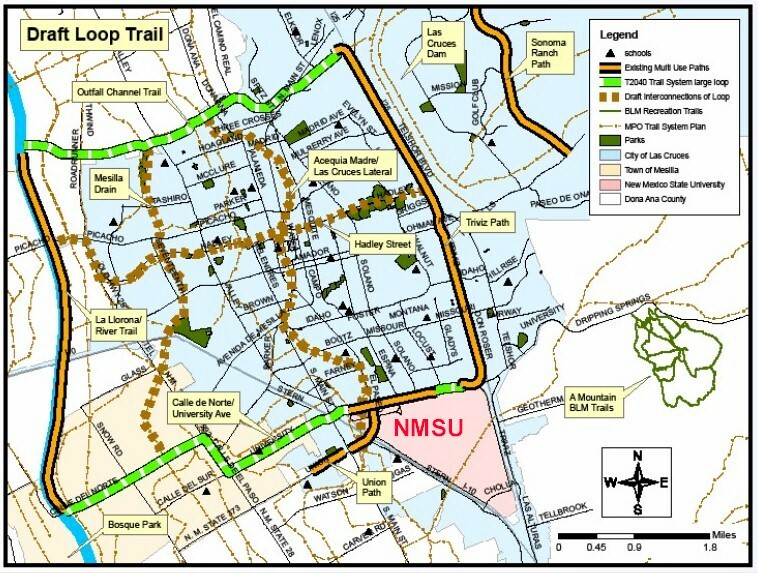 NMSU follows the Essential Elements of a Bicycle Friendly America. 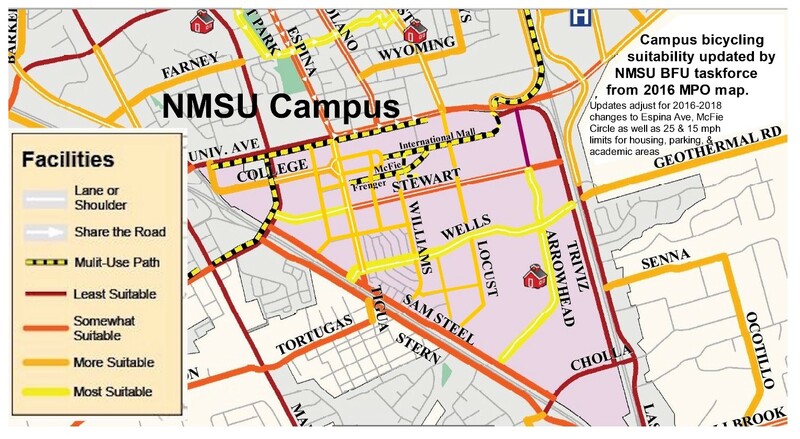 These “Five E’s or Essential Elements are what makes NMSU a great place for bicycling. 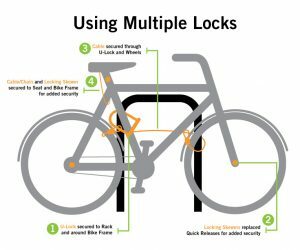 By following the Five E’s, NMSU was designated in 2013 and 2017 as a Bicycle Friendly University by the League of American Bicyclists. 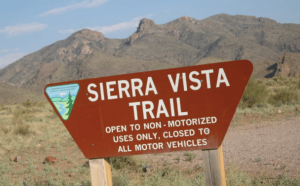 MORE FIX-IT -The Fix-it stations includes all the tools necessary to perform basic repairs, from changing a flat to adjusting brakes and derailleurs. 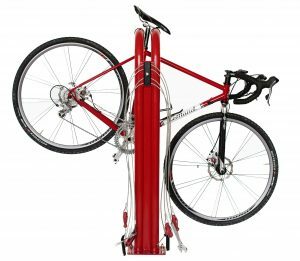 The tools and air pump are securely attached to the stand with stainless steel cables and tamper-proof fasteners. 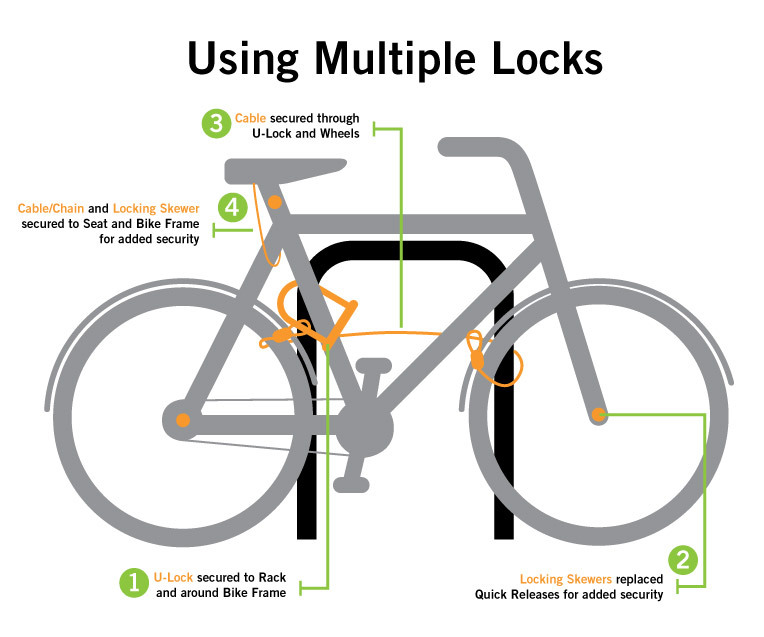 Hanging the bike from the hanger arms allows the pedals and wheels to spin freely while making adjustments. 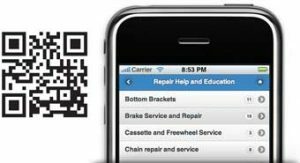 For repair help: use the Quick Read (QR) code on the front of the Fixit to view detailed instructions on your smart phone ( Dero video). 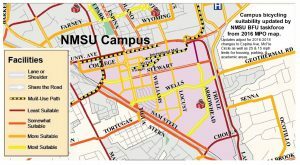 NM State-wide Routes (DOT Map). 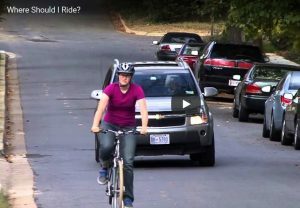 Riding on the Sidewalk; Sharing the Trail; Where Should I Ride (for safety)?